At Elevate, we believe God created the Church to be a family where everyone can belong! We also know the first step in this is getting to know each other. For that reason, we’ve created FirstStep. 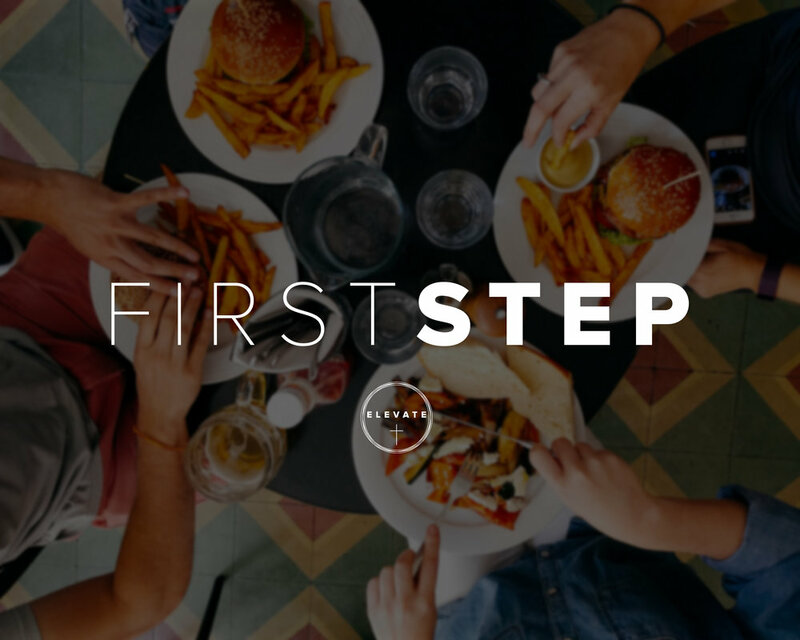 FirstStep occurs the first Sunday night of every month. You have the opportunity to sit down and enjoy an evening together with Pastor Thomas-Steele and Haley, and some of our ministry leaders. You will have the chance to ask questions, learn more about the church, and give us the opportunity to get to know you. Simply put, you will enjoy good food, good conversation, and the company of some good people. What could be better than that? If you’re new to Elevate, or simply ready to take the first step in becoming a part of our family, we invite you to sign up for this event. Because we believe Church should be family, and we believe you belong here.